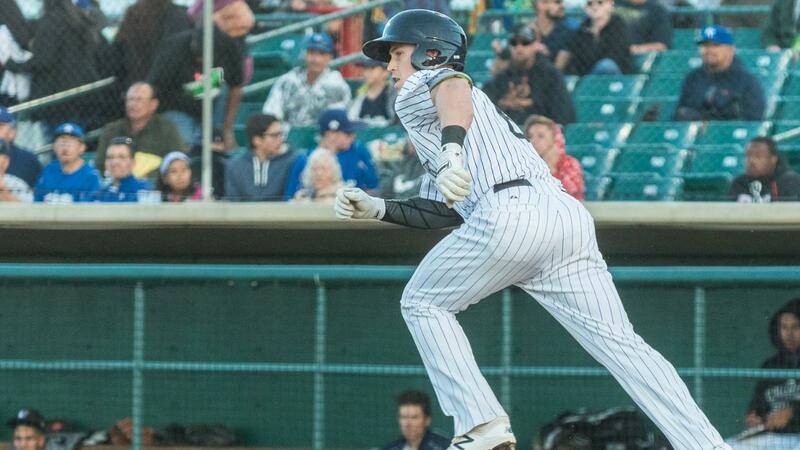 LAKE ELSINORE, Calif. - Lancaster could not lock up a playoff spot Friday night, losing in walk-off fashion to Lake Elsinore, 3-2, at The Diamond. Luis Guzman won the game with an RBI double in the bottom of the ninth, handing the JetHawks just their second walk-off loss of the year. Fortunately for the JetHawks, Inland Empire lost, 6-3, in Rancho Cucamonga Friday. As a result, Lancaster's magic number to clinch a playoff spot is now one. One victory or another 66ers loss will send the JetHawks to the postseason for a seventh-straight season. Lancaster (37-30, 70-67) fought back from a two-run deficit to tie the game late. The JetHawks got on the board thanks to consecutive two-out doubles from Brian Serven and Steven Linkous in the fifth inning. Serven came through again in the seventh with an RBI triple to knot the game up, 2-2. Lake Elsinore (31-36, 65-72) rallied to win it in the bottom of the ninth. With two outs and a man on first, Luis Guzman doubled against Alexander Guillen (3-3) to drive in the winning run. Tom Colletti (1-0) got the final five outs to win it for Lake Elsinore. He stranded the go-ahead run at third base in the top of the ninth inning. Both starters turned in strong performances. Logan Longwith allowed just two runs in six innings for the JetHawks. Nick Margevicius worked into the eighth inning, giving up two runs as well. There was only one walk in the entire game. With three games left in the season, Lancaster needs one win or one Inland Empire loss to secure a spot in the playoffs. The wild card winner will take on Rancho Cucamonga. Lancaster will try and seal a spot in the playoffs Saturday night. Antonio Santos (4-2) is on the hill for the JetHawks, while Ronald Bolaños pitches for Lake Elsinore. First pitch at The Diamond is set for 6:00 pm.